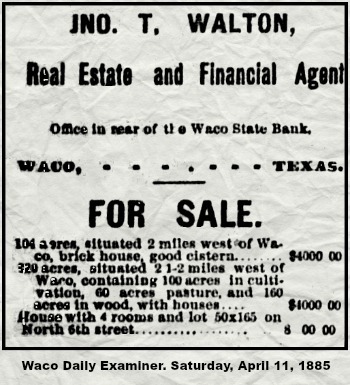 The forty fourth annual session of the Grand Lodge of Texas which convened in the city of Austin on February 2, 1885 had an actual count of one hundred and forty five Odd Fellow representatives including Grand Lodge officers and committees entitled to mileage and Per Diem. 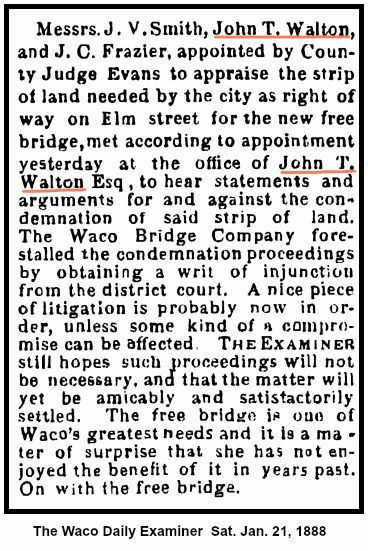 They drew the regular compensation at the Austin session of 1885. 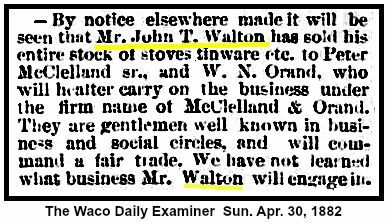 Since a respectable number of past grands were in attendance it will not be beyond the bounds of a conservative estimate to say that two hundred Odd Fellows sat in the Grand Lodge of Texas when Grand Master DS Lemman retired from the principal chair and committed the reins of government to the hand of Grand Master John T Walton, his successor in office. 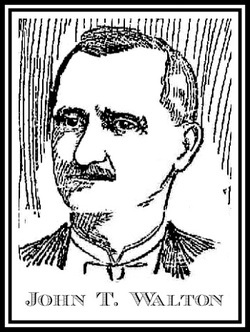 The picture above depicts both Rebekah's and Odd Fellows so as you can see there must have been over five hundred I.O.O.F. members in attendance. This picture was taken in front of the Texas Capitol building. Notice the 'WELCOME IOOF' sign. 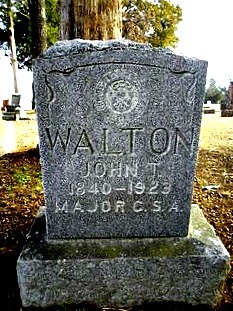 John T. Walton formerly a member of the Williams Insurance Agency at Poplar Bluff, Mo. has disposed of his interest in that agency and has decided to quit the insurance business.